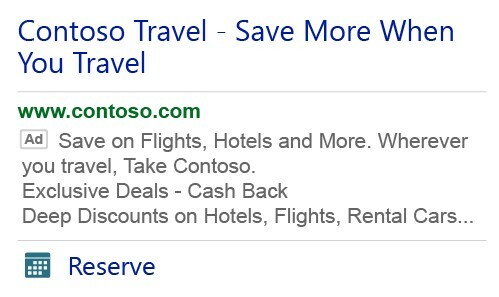 Bing Ads has a new ad extension and there’s something special about it. It’s exclusive to Bing ads. They didn’t just copy Google Ad extensions. This extension allows you to highlight a clear call-to-action on your text ads to entice customers to immediately click and drive them to your website. The new Action Extensions is now available across all Bing ads markets and can run on both desktop and mobile ads. To be sure you will find a match for your company, Bing has added 70 different predetermined Action buttons. Action Extensions will show with other ad extensions, like sitelinks. It’s time to set yours up and test. Be sure and follow up to see if you’re seeing an improved click through and conversion rates. Let us know what you find. Don’t forget to test different buttons. There might be more than one that work for your business and call to action. Bing Ads: Are They Worth The Trouble? As of April 1, 2019 Bing search ads took over all advertisements on Yahoo Search. For further details on the transition read our blog post from January Yahoo Search Ads: Where Are They Now? If you were of the small percentage of advertisers manager ads directly through the Oath Ads Manager (Verizon’s name for Yahoo Search Ads), this is a relief as you now have one less platform to manage. Not to mention Bing Ads is a far more advanced platform than Oath was. The most recent data according to Statista is that Bing handled just under 25% of all search queries in the United States and Oath (formerly Yahoo) handled just under 12%. This now gives Bing a boost to handling search ads for roughly 35% of all searches in the United States. In International markets Yahoo is a bigger search engine than Bing. If you have run Bing Ads for countries outside the United States you know how small their market share was internationally. This should help give them a boost. If you are still only running search ads on Google, this change will give Bing Ads more traffic and increase the value of taking the time to manage another platform. Read our blog about Bing ads if you are unsure. Look for both a potential dip in your Google search ad impressions and an increase in your Bing search ad impressions. Be ready for a potential 10-15% budget increase. Remember, Yahoo was using both Bing and Google prior to April 1, 2019 for their advertisements. If you run campaigns outside the United States on Google, but not on Bing because their international search volume was insignificant, it may be worth testing this out again. In Bing Ads you can segment by network, but they combine Bing & Yahoo search together. Maybe now that they are taking over all of Yahoo search they will change this to allow for further segmentation and management across the two networks. On the few test searches we’ve done on Yahoo since the transition this month, Bing is showing 5 ads above the organic results on many queries. Even when Bing shows 3-4 results they are showing 5 on Yahoo. We’ll continue to keep an eye on this as they will likely be testing. If you have any questions or would like us to manage Google or Bing ads for your company, feel free to call or send us a message. Custom Audiences can help you anticipate your customers’ needs and reach them with the right message. You can bid more aggressively for those high-value customers, whether you’re helping them complete a purchase or you’re upselling or cross-selling. The more you know about your customers, the better you can target — and more precise targeting can help you achieve a greater return on ad spend (ROAS). Our pilot participants saw up to 18 percent higher click-through rates (CTR).1 The sky is the limit for how you can manage your own customers’ activity, purchases and behavior via CRM tools. Bing took a different approach than Google Ads Customer Match significantly limiting the number of advertisers that can utilize their custom audiences. Where in Google Ads you can upload a list directly into your account, with Bing Ads you can only integrate through a DMP partner. Currently, there are direct integrations with Adobe Audience Manager, LiveRamp and Oracle BlueKai. What if you don’t now work with one of these three data providers? Well, you can’t use Bing Ads Custom Audiences unless you choose to start working with one of the DMP’s. Why Would Bing Ads Take This Approach? Forcing you to work with one of Bing’s DMP partners likely removes at least 75% of their advertisers from being able to use their custom audiences. The vast majority of changes Bing has made to their search advertising program in recent years has been to simplify the process to increase the number of direct advertisers that are on Bing. The hot topic in the past year has been around data privacy. Facebook especially has been under a microscope when it comes to this subject. Unfortunately, this has caused them to make many changes to their platform to continue to be a trusted platform for their customers. With so much focus being on Facebook, Google and Bing have been escaping much of the scrutiny… for now. Bing most likely is approaching custom audiences in this way to avoid any data privacy questioning. Google and Facebook allow you to upload a list of contact information that in reality, you can get from anywhere. There is no verification that it’s actually your data to use. We can make a reasonable assumption that eventually Facebook and Google will have to tighten up their custom audience program to be more secure like Bing Ads is. Facebook has done an impressive job making advertising towards custom audiences work well for large and small audiences. Google and Bing custom audiences are mostly designed for businesses with tens of thousands if not hundreds of thousands of customers. Where Facebook can easily matchup 90%+ of your customer profiles and the only requirement for those customers to see your ads is they need to be on Facebook or Instagram, that covers a much larger pool of people. Google and Bing have much lower match up rates when you target a specific customer list. Not only that, once there is a match up, that person has to search for a keyword you are actively bidding on. With Bing having a much smaller part of the search market than Google, you need an even larger customer base to capture those actively searching on Bing. If you’re currently working with one of the DMP’s mentioned above there are instructions for setting up the custom audiences in Bing Ads here. If you’re not now working with one of those DMP’s most likely it isn’t worth your time and effort to enter into this program. If you would to check it out the links above will take you to each of the partner DMP’s to get more information on the program. Otherwise, feel free to send us a message for more information. 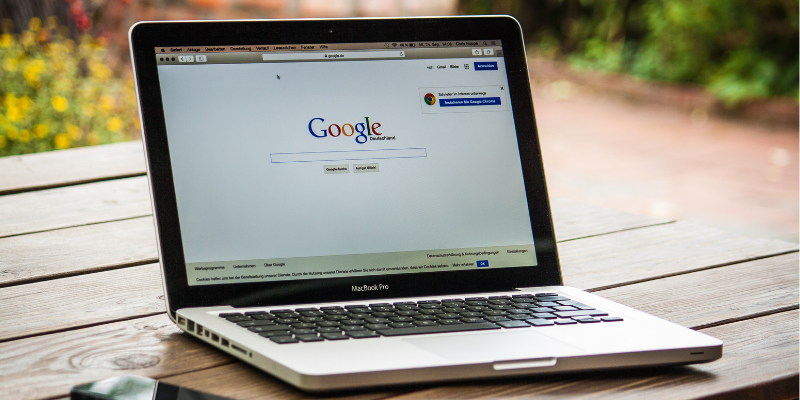 While Google is the most popular search engine on the web, believe it or not, a pretty good amount of people use other search engines as well. One of these is Bing. If you're advertising your goods or services online using paid search marketing, also known as pay per click (PPC) advertising, then you may want to consider using Bing Ads for some of your efforts. Despite a lower user base, there are enough people using Bing to make it worth your while. Bing also offers some advantages for advertisers compared to Google. Below we'll tell you about some of the advantages of advertising with Bing and why it may just be worth the trouble after all. One of the best things about using Bing Ads is that not many other marketers are. This means that there will be less competition for you and it also means that Bing offers lower costs per click (CPC). If you're a business that is advertising on a budget, then you'll likely find it much easier to manage your costs with Bing than you would with Google AdWords, which can sometimes be pretty pricey. This is a big benefit because even though there may not be as much traffic overall with Bing, the traffic that does see your ad will be more likely to convert or become a customer in the end. While Google AdWords does have quite a bit of targeting features and options for optimizing and tweaking campaigns there are places where Google could improve. Luckily, Bing picks up the slack exactly where many of the Google AdWords issues are. For example, with Bing, you'll have much more control at both the campaign level and at the ad group level. You'll be able to target location, scheduling, language and network settings in both areas. Additionally, with Bing, you'll also have more extensive options for choosing what devices to target and what search demographics you want your ads to be shown to. With Bing, you'll also have more control over search partner settings. While Google gives you the option to show ads on search engine results pages (SERPs) only or on SERPS and search partners, Bing offers you the option to choose one or the other, or both. This can be a huge plus for businesses who find that their ads fare well on search partner pages but not so well in search engine results. Another reason you may want to consider using Bing Ads in addition to Google AdWords is simply that it opens up new options for who you can target with your advertising campaigns. Typically, the average internet user chooses a search engine and sticks with it. This means that if you've been running your ads on Google for a long time, many people will have likely seen your ad multiple times before. If you want to reach completely fresh faces, using Bing is a great way to do it since the audiences will overlap very little. While many businesses will want to use Google AdWords, there are cases where Bing Ads can make a good choice as well, particularly when used in conjunction with Google ads. You'll want to consider the advantages listed above carefully when deciding if Bing is right for you. Make sure you do some testing and experimenting with both ad networks before you make the final call. Looking for help with your eCommerce marketing strategy? Contact us today to learn more about what we can do for you. Google Ads Parallel Tracking: Does This Affect You? What is Google Ads parallel tracking and does it affect your Adwords account? Google has been sending out an email this week about the upcoming parallel tracking change to make sure everyone is prepared. Since I've had multiple clients forward this email to me and ask about it, I wanted to explain what this is and which clients it affects. Back in May this was first announced on the Google Ads blog. A significant focus of Google in the past year is increasing page load time on mobile devices. As web searches continue to shift towards mobile where internet speeds are lower Google has been focusing on doing what they can to increase page load times. Accelerate Mobile Pages (AMP) is one way they have been working on this. They have put together various data showing the impact each second of page load time has on conversion rate. If you are interested in learning more Google built a mobile site speed tool that also estimates the revenue impact. Beyond AMP another way they are increasing mobile page load time is parallel tracking. This is strictly for advertisers that use a click measurement system. This feature has been available for a few months, but as of October 30th all accounts will be automatically opted in. The vast majority of Google ads advertisers are not using a click measurement system. Most advertisers are using Google Analytics with Adwords auto-tagging where there is no tracking added manually. Many use custom tracking for lead forms with Google's tracking template, but those are not affected by this either. If you are using a click measurement partner like a Sizmek, what happens when someone clicks your ad is that the there is a redirect which takes place. This happens so fast in the background you will not actually see it. When a user clicks the URL a page will load and redirect the user to your landing page. The middle page that loads (which no one ever sees) records click information, but also can slow down the time it takes for the landing page to load. Parallel tracking solves that issue by still allowing click trackers to work, but it loads the click tracking page at the exact same time the landing page loads instead of loading it before. For our clients that are using a click measurement partner, we have already reached out to you about this separately. For those that have not heard from us, you are not affected by this. If you are not a client of ours and would like to know if this affects you, send us a message with an existing Google Ads URL and we will tell you and can assist with next steps. 1. Forward an email to them from Google stating something along the lines of "Google recommends we make this change, can you please implement it?" 2. The client has a call with Google outside of the Google ads manager's knowledge in which one of two things happens. One, the client approves Google making a recommended change. Two, the client implements it themselves. Days, weeks, or sometimes months later we discover the change and the negative effects that it had. If you manage Google Ads accounts for other companies, if you haven't had any of those happen yet, don't worry you will soon enough. I completely understand the challenge this poses to our companies that advertise on Google. For a potentially new or early stage client, they don't have a "trust" factor established yet. For a long-term client they do, but unless they have already experienced losing performance and money to a change Google made or recommended, who are they to question the very people that built the search engine on how to best advertise on their search engine? That all seems to make sense, but unfortunately it is not the case. Let me dispel a few myths about your average Google account representative (they change their titles so much I'm not sure what they are called now). Truth: Google holds any secret information about their algorithm from the vast majority of their company, especially anyone that works directly with clients. If anything I've found that the public find out about platform changes before many of the Google ads account reps because we're actively seeking and following. I can guarantee if your paid search manager is keeping up with the latest releases and trends they know at least the same amounts as a Google ads account rep about the advertising platform. Myth 2: Google ads representatives know and understand the Google ads platform and algorithm better than anyone because they work with it every day. Truth: Most Google ads representatives, unless you are an account spending high 6-7 figures per month have less than 1-year experience with the platform. Of the dozens if not hundreds of Google Ads account reps I've worked with over the years, I've never come across a single one that not only ever managed a Google ads account on their own, but had any sort of marketing role prior to working at Google. Typically they have a sales background because that's technically what they are considered within Google. Myth 3: Google Ads reps and Google Ads agencies have the same goal for their clients, long-term success and spending money. Truth: This one I have some challenges with because theoretically, it should be true. Account managers or agencies need our clients to increase their spending on Google ads and be successful in order to continue working with us. It's in our best interest to optimize the account towards their ROAS or CPA goals. That is true. One would think Google would have the same intention, but time and time again all I've ever seen them caring about is spending more money on the platform regardless of what the conversion results are. In fact, there are many businesses that stopped advertising on Google and never will again because of the experience they had losing money, but because it was set up by Google Ads reps.
Where is my evidence to back all of this up? I've been managing Google Ads/Adwords clients for more than 12 years. I have fought this battle with Google and clients for that entire time. I've taken over clients where I cringe even to tell them the amount of money they lost because of what Google reps did to their account. I've lost clients for refusing to make changes Google recommended. Don't get me wrong, there are many terrible private paid search managers out there. In fact, I would argue less than 10% of us are actually really good at what we do, but that's another blog post. Just last week I took over an account that had 4 campaigns set up by Google and run for 6 months. Three search only campaigns were all broad match keywords and one what was supposed to be "remarketing" audience was targeting a irrelevant in-market audience. Not one search term over a six month period because of the broad match setup was right for his business. Great, he didn't pay anything for a management fee. Unfortunately, he lost $10,000 over the time period. Not everything they tell you will be wrong. I'm not here to say that. I just want perspectives to change when Google does recommend something. Maybe get a second opinion? At the very least be open to your pay per click manager not implementing a suggested change if they have a good reason not to. A good reason isn't "everything Google tells you to will waste money." If they tell you that you probably should find a new pay per click manager or agency. "We prefer to rotate our ads evenly and decide on our own which is the best performer. There are many factors we use to determine the success of an ad, and while Google has improved their automated functionality for ad copy optimization, we often test this and believe our method works better." I hope there are Google advertisers that read this and I save their PPC Manager and agency from having to argue this or even worse, give in and watch their client's results suffer. After all, would you let the IRS do your taxes? If you have any questions about this don’t hesitate to message us. Just click on the Facebook messenger icon and we’ll respond. If you need a second opinion on a recommended change we will be happy to help. Most importantly, if Google setup your campaigns or is managing your account, please let us audit it. Google Adwords Repeat Rate: Are You Under Reporting Conversions? What is a repeat rate and what does it mean to your business? If you go into tools under measurement and go to the conversions sections of Google Adwords (new interface), you should see at least one conversion type (if you have this setup) and a bunch of columns. One of those columns will say repeat rate. Depending on how you setup your conversion pixel this can cause you to either over report conversions or under report conversions. You have two options here, every or one. According to Google "if someone clicks your ad, then makes 3 purchases, AdWords will count 3 conversions." If you choose one, according to Google "adwords counts only one conversion per ad click." At Relay PM, when we setup Google Adwords conversion tracking for a client we assess the type of conversion we are tracking for each client. If we are tracking purchases we will choose every and if we are tracking leads we will chose one. The reason is that if someone makes multiple purchases on a website, each purchase has revenue attributed to it and thus should be counted as a conversion because each additional conversion does add more value. With lead generation, if one person submits multiple leads there typically is no additional value to counting every time the lead is submitted. Depending on what your conversion window is set to (30, 60, 90...) the repeat rate is based on that window. If someone clicks on an ad and makes more than one purchase at any point during that conversion window, it is counted as a repeat. Same goes for submitting leads. When you are looking at the repeat column in the conversion section in Google Adwords you will see the average number of conversions submitted per user based on whatever date range you are currently viewing. Keep in mind no matter which option you choose, every or one, the repeat column still shows the average number of conversions per click or interaction, but they will only be included in the Adwords conversion columns if you chose every. Now, there are potential issues to using the every conversion option that we have seen. Users can bookmark a purchase or order confirmation page and visit that page again because the page might load too slow and the user tries to reload the page, or the user hits the back button to visit the page twice. We have also seen unknown technical issues causing the conversion pixel to fire multiple times for the same user. Any one of these options are fairly common. Fortunately there is a way around this. You can add an order ID to your conversion tracking pixel. If Google Adwords sees two conversions submitted with the same order ID they will only count one. Depending on if you are using a conversion pixel from the new Adwords interface or the old Adwords interface you can see the code to implement here: https://support.google.com/adwords/answer/6386790?co=ADWORDS.IsAWNCustomer%3Dtrue&hl=en&oco=0 Order ID's will not be used in any Adwords reporting. If you have any questions on this topic please let us know. Google Says My Bid Is Below First Page Estimate, What Does That Mean? For the past couple years clients' have been logging into their Google Adwords account and then asking us "why are our keywords below first page bid?" While this estimate has been around since 2008 or 2009, at some point it was added to the status column and has resulted in it being much more visible. Typically my response has been: "Ignore That. It doesn't really mean anything." Although I sort of believe that to be true, I thought I would take some time to put together a slightly more satisfying response. This estimate approximates what cost-per-click (CPC) bid is needed for your ad to show anywhere on the first page of search results when a search query exactly matches your keyword. Your ad can still appear if your bid does not meet this estimate, but it's less likely to appear on the first page of search results. This is actually a quite perfect response. Let me elaborate on a couple of the most important pieces of this response. Let's say you are bidding $1.50 on "red shoes," but the first page bid estimate is $2.50. You are much more likely to show on the first page of results when the user's query is "where to buy red shoes", so if you want to increase your chances of showing for "red shoes" you should increase your bid. After digging into this one further, I was proven incorrect on something I've been telling clients for the past couple years. For those who have been doing this for 10+ years like me, you will remember it was not uncommon to see an average position of 32, 47, or even higher in the past. Google got rid of that years ago so now at first glance all pages appear to have the exact same ads as page 1. Upon further review and test searches, I discovered that every now and then you'll see a few ads after page 1 that have not shown on page 1 at all. So, as we're managing your account, how do we use this information? Depending on the goal, there are a couple of ways we use this. When we first launch an account or keywords, we often have to repeatedly bring keywords up to the first page bid estimate as Google adjusts the initial quality score. If we are managing an account and we need more traffic volume, we typically start with doing this as a quick method. We can also use the estimates to our advantage because they give us an indication of which keywords have more volume potential and serve as a quick way to identify "high quality" keywords that we might want more volume from. While we also consider impression share and average position, first page bid estimates are a simpler value to look at. The final way, which is very often an indicator of a bigger issue, is low quality score. If it's a big enough issue within the account, we might look at ways to improve overall quality score so that Google drops the first page bid estimate down and we are eligible for more auctions without increasing our bid. Below is an example. This particular keyword as a $15 bid with a $16.90 recommended first page bid, but the keyword has an average position of 2.1. Seems pretty good right? If you look to the far right though you see that we are losing 26.16% impression share to ad rank. That means 26.16% of the time the keyword is searched, we aren't eligible to show. Increasing the bid to the first page bid estimate increases the ads chances of showing when the particular keyword is searched. One final point to note. If the campaign is limited by budget, we almost never increase bids above first page estimates. What that causes is us to pay more money per click and get less clicks within our budget.